Pineapple Honu Estate is comprised of 2 homes, the Pineapple House and the Turtle Hale. Each home is fully furnished and has amazing ocean and mountain views. It is also close to the beach, shops, and attractions. Pineapple House is beautiful with 4-Bedroom/2-Bathroom. It was completely renovated in November 2009. This 2-storey home fully furnished and each floor is comprised of a large open living room, a full kitchen, and a dining area. Upstairs has a balcony or lanai just off the kitchen. 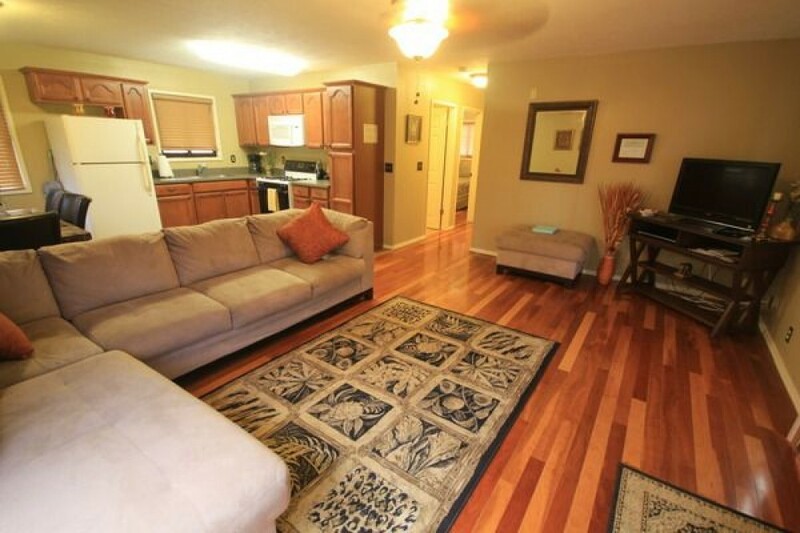 The living rooms and bedrooms are spacious, completely furnished, and have gorgeous solid wood floors. The kitchen is fully-equipped with all kitchen appliances and many extras. Each dining areas has a large marble table for dining and seats six people. The kitchen, dining area, and bathroom all have beautiful travertine tile flooring. All rooms are furnished in tropical/safari-style d&eacute;cor and can comfortably accommodate up to 10 guests. Perfect home for a large family or group! The Turtle Hale was completely remodeled in November 2014. Ideally located on the North side of O`ahu, this rental has breathtaking mountain and ocean views - all yours to enjoy during your stay. It is fully furnished and comprised of a large open living space. Enjoy the large beautifully designed kitchen featuring granite countertops, stainless steel appliances, porcelain tile flooring, and all the amenities of a home kitchen; including a refrigerator, range oven, dishwasher, microwave oven, rice maker, toaster, coffee maker, cook ware, prep ware, bake ware, dish towels, dishes, glasses, and utensils. Feel free to entertain guests at either of the kitchen or wet bars, and enjoy a tropical cocktail with that special someone as the sun sets on the ocean out front, and as the waves roll in to shore. The living room is spacious and furnished with a large sectional couch and ottoman, tall standing rattan lamp, and an entertainment center, which includes a flat screen television (cable included). There is also a family room area for enjoying your morning coffee and relaxing to watch the evening news. This rental has 4 bedrooms and 2 bathrooms. The bathrooms are beautifully decorated and include tiled showers. Bedroom 1 has a Queen Bed and sleeps 2. Bedroom 2 has three Single Beds and sleeps 3. Bedroom 3 has a Full Bed and sleeps 2, and Bedroom 4 has two Single Beds and sleeps 2. There are Japanese Style Futons available for additional sleeping. All rooms are furnished with beautiful tropical d&eacute;cor and have ceiling fans for your comfort. Relax on the large deck out back and enjoy the cool breezes and gorgeous mountain views while you entertain with family and/or friends. This area includes two picnic tables and two BBQ grills for your personal enjoyment or for entertaining other guests. This rental also has a washer and dryer for your convenience. Our complimentary gift to you - island chocolates and a shampoo-conditioner-soap trio set.